Changes since BETA release. More screenshots tomorrow. -Fixed an error produced if someone edited config file and enter incompatible values in UseConfigTool variable. -Fixed an error where Penumbra Shadows only works if checked twice after a restart. (*) symbol for fixes to problems existing in original game without mod. -Tweaked a bit more values for power jump, sprint speed, energy consumption and energy regeneration. -Fixed/new bump and displacement map for yellow bricks walls in BatteryPark. -Added lights/ivys/shadows/decals/props in Battery Park (armor mode tuto zone). -Added cars and new elements in Battery Park streets. -New scaffolds texture. Beta version was from 3.0 and newer is better. 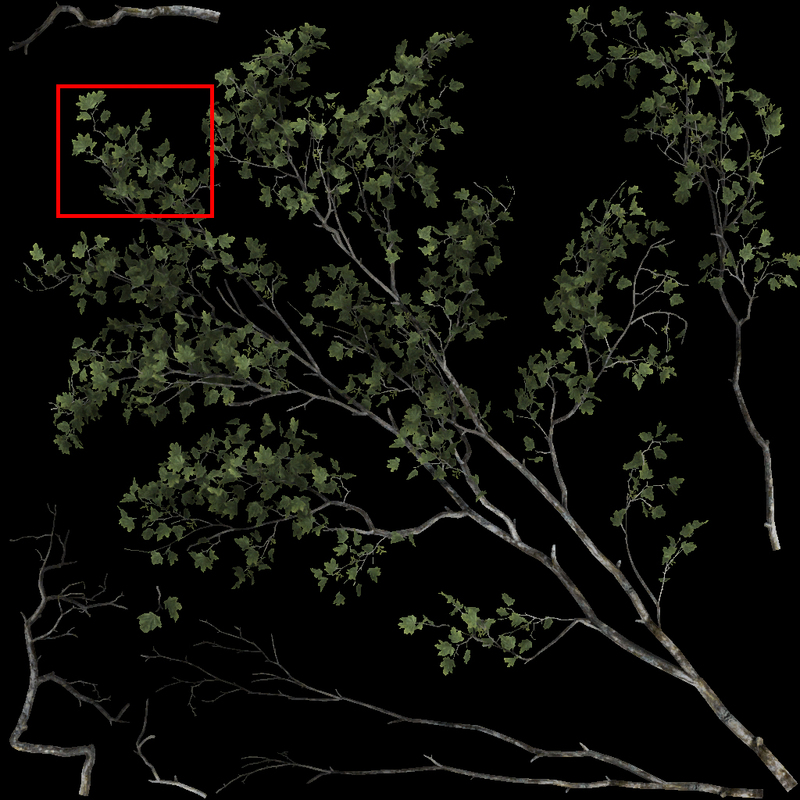 -(33%) New texture for maple tree. 4096x4096 resolution in normal mode and 2048x2048 for reduced mode. Screenshot below. 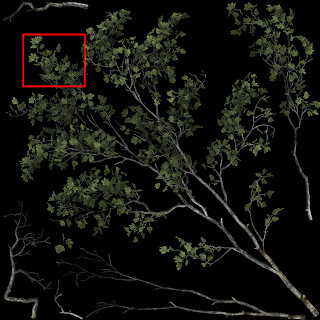 -More optimizations reducing bumps resolution in specific materials. -Improved newspapers texture with more detail in one of them. -New planters texture. Same resolution with better broken interior. -Improved texture for air aconditioner big machines with rust detail in metal to match original texture. -Added bump detail in some subway stairs. -Fixed incorrect position for next level trigger in Downtown. -New grey bricks texture Downtown (initial zone). -Fixed transparent subway tunnel in Road Rage. Engine has limitations with parallax in some elements, like transparent doors in version 3.0. In editor works well, but in some situations became transparent in pure game. Disabled Parallax in floor and ceiling. -Fixed clippable walls in Road Rage. -Edited Time of Day in some levels. -Fixed terrain and wall flickering in Dead Man Walking. -Fixed Madison Square Level that doesn't load in Beta. -New "papers in the wall" texture in Gould apartment. -New wood door texture in Gould apartment. -New water material with distorsion in octopus tank in Gould apartment. -New black/white picture in Gould apartment. -New 2Kx2K texture for books in the shelves in Gould apartment. -New 2Kx2K stone wall texture (affects a few levels). New bump and displacement. -New concrete bricks wall texture. -New texture for servers cabinets and hooked laptops in warehouse level. -New 2Kx2K brick wall texture for exterior walls in small_warehouse and warehouse buildings. Regular and dirt versions. New bump and displacemnt too. -New mask texture for interior walls in small_warehouse and warehouse buildings. -New barnacle (diffuse, bump, displacement and mask) and concrete textures for warehouse pillars. Added tesselation to pillars. -Fixed Microwave material. The new material had absolute paths and game load original textures instead new ones. -Applied alternative stone wall in Terminal interior. -Applied 4.0 keypad texture in Flooded Streets keypad. AF must be activated in gpu drivers. Great work maldo, can't wait for the final release! Still can't play it on Win8!! Game runs fine with DX11 full screen, but as soon as MaLdo mod is implemented I get undefined resolutions. Before I thought it was just Win8, because before the release of Win8 it did that regardless of MaLdo. Now with the release of Win8, mod-less DX11 works great, BETTER than Win7 in fact. But now I see that the mod caused the undefined resolution. Now whether or not it is a conflict with MaLdo to 8 or 8 to MaLdo is irrelevant, the fact is now the game worked without, but does not work with. ZAM, have you tried with second level of antialias? (Fxaa). Maybe smaa injector doesn't work in w8. What is the same? My mod includes as optional the smaa injector. Injector works with d3d dll and is the only thing that can broke resolutions. MaLDoHD itself, without injector, can't broke resolutions, is impossible. So, disable injector in config tool or search for support in smaa injector developer forum. Otherway, if you can launch crysis 2 without the mod, why not load mod in the mod menu inside the game? I Disabled the Injector entirely. Before I just disabled SMAA for FXAA in the MOD which is why I said the same thing happened (undefined resolution. Can I use the Injector via the Nvidia driver? And if I do will it have a negative effect on the Mod? When I completely disabled the Injector the Mod and game works. Ok, fxaa into nvidia drivers works without injector. If you disable smaa in mod tool is the same that delete dxgi.dll in your crysis 2\bin32 folder. With that file deleted, mod works exactly the same way that crysis 2 without mod. Launch game without mod and then activate maldohd in crysis 2 menu. There is a problem in level when u meet Chino and he is giving u a gun, this level just dont wanna to run, have only black screen. Also before this gonna be released, where i can fix this r_drawnearfov ? This is madison square level, is listed as fixed bug. is there a fix available for download? Also have a idea, allow to carry more than 2 weapons at same time.. Problem with the bottom of the floor lamp. added -mod MaldoHDv4 to the shortcut and mod dont launching from start. Using steam version Maximum Edition. Any solution ? Maximum edition is broken .... This is such bs its origin and steams fault, origin is blocking ods on maximum edition. Maldo is there a fix? when u will realease this version with all this fix? So here we are 2 months later. Any updates?